Our news reports seem to be increasingly filled with stories of violence, sadness and tragedy. We see the headlines, and then they eventually fade from our view. It is not often that we are able to have an intimate inside look at what those who have experienced these news stories first hand have gone through, what they have learned, and what they can teach us. 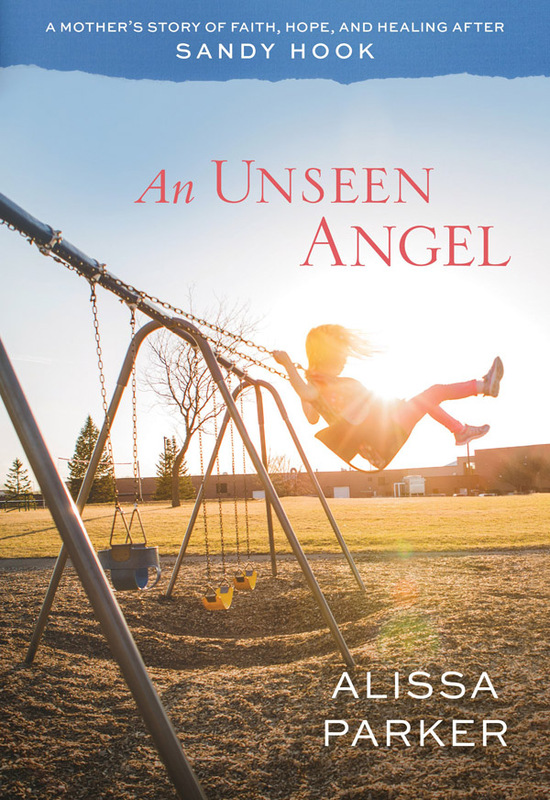 An Unseen Angel: A Mother’s Story of Faith, Hope, and Healing After Sandy Hook by Alissa Parker is one of the most well-written and moving first-hand accounts I have read. Though I am an avid reader, it is not often that I pick up a book that is so compelling I can’t put it down. This was the case with An Unseen Angel by Alissa Parker. I am not unfamiliar with the story of the Sandy Hook Elementary School shooting. I remember the day well. It was the day my high school students finally got cell phones (but that’s another story for another post). School violence, especially shootings, saddens me and breaks my heart. Living in Colorado it is a subject we are all too familiar with, though thankfully not first hand for our family. I read through this book in just a few hours. That’s not to say it’s an easy read, but it is not a long book (176 pages). I made the mistake of starting it just before bed and finally had to force myself to set it aside, knowing a busy morning lay ahead. I don’t think I was more than a couple of chapters in before the tears started (I also rarely cry over books, but this one needs to come with a package of tissues attached). Note to the tender-hearted: do not take this book with to you to read in the waiting room at the doctor’s office. An Unseen Angel is a sweet and poignant memoir of Alissa Parker’s journey through loss, grief, forgiveness and healing. I cannot begin to fathom losing one of my children, especially in such a senseless and horrific way. Yet that is what happened to the Parker family. Alissa shares the story of her family in such a personal way, it feels like we are sitting together in conversation. The book is divided into two sections: Before and After. We know much of the public After, but the Before gives us the context and helps us to know Emilie Parker and her family. Alissa’s After is even more compelling than the Before, as she takes us through the many stages of her personal journey to healing and hope. It is neither a straight line, nor a simple journey, as she shares her struggle to deal with the initial loss and shock, and then to find a way to cope with what I would call “the new normal.” She shares her feelings of frustration, of anger, and of pain, and how she chose to turn toward God instead of away from him. I think it’s important to note that not only did she rely heavily on her faith and prayer with God, but that they worked with therapists to help learn how to cope and heal following the tragedy. I loved her retelling of the outpouring of care and concern they received not only from friends and family, but from community members and strangers from around the world. And I was touched by her sharing some of the tender mercies she experienced along the way. I was also impressed by the great effort it had to have taken to make the decision to turn her family’s tragedy into a way to help others through two community organizations she helped found. If you’d like to learn more about the Parker family, or about Safe and Sound Schools, or Emilie Parker Art Connection, you can visit Alissa’s blog, The Parker Five. I highly recommend this book. Just remember to keep your tissues close at hand. It is a beautiful and moving story of one mother’s journey through unimaginable loss to faith and healing. An Unseen Angel by Alissa Parker is available in paperback, Kindle and Audio CD from Amazon.com And if you click on these links to buy, you won’t pay a penny more, but you’ll help fund my reading habit with a small commission from Amazon.